An in-depth and unforgettable journey throughout the vastly under-explored Eastern Balkans region, exploring more off-the-beaten-path locations and hidden gems than ever before in one action-packed two week overland adventure. 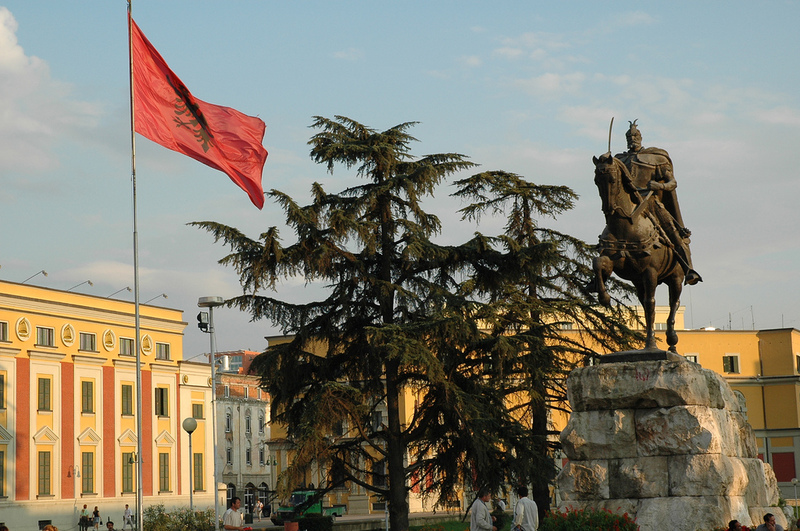 Stroll the once-communist city of Tirana and view its many old-world charms. 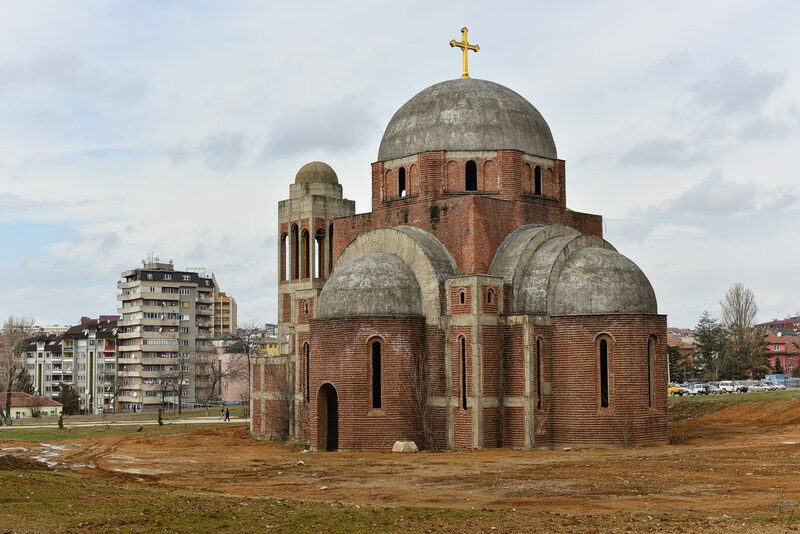 Explore the ancient wonders of Durrës, a world-class UNESCO-listed city with a deep history. Marvel in the 588 BCE site of Apollonia. Drive the full length of majestic and breathtaking wild coast along the Albanian Riviera stopping at timeless ancient cities. Visit the stunningly beautiful city of Sarandë. Gaze into the depths of the turquoise-blue water hole known as the Blue Eye — a true wonder of nature. Step back in time with a visit to the classic UNESCO city of Butrint. 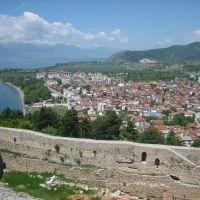 Visit the fortress and historical core of Gjirokastër. Head through the visually-stunning Vlosa River valley to Korçë via the Kelcyra Gorge — one of the least-known and most beautiful drives in Europe. Take a boat ride around the arresting Lake Ohrid and explore the city of Ohrid’s ancient core. Delve into nature with a drive around Prespa Lake with its abundant pelicans, cranes and swans. Enjoy homemade meals with the villagers in rural Macedonia. Overnight at the sublime Pelister National Park. Breath in the fresh air in Krushevo, the highest town in the Balkans, the center of the most important historical battles in Macedonia. Explore Mavrovo National Park, home to sweeping mountain peaks, and visit a shepherd’s farm on Mount Bistra to taste the delicious local cheese. 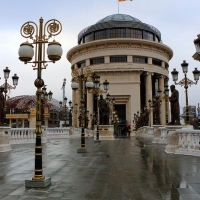 Enjoy the fascinating city of Skopje with its cobblestone streets, monuments, baroque style buildings and nearby monasteries from the 12th century. 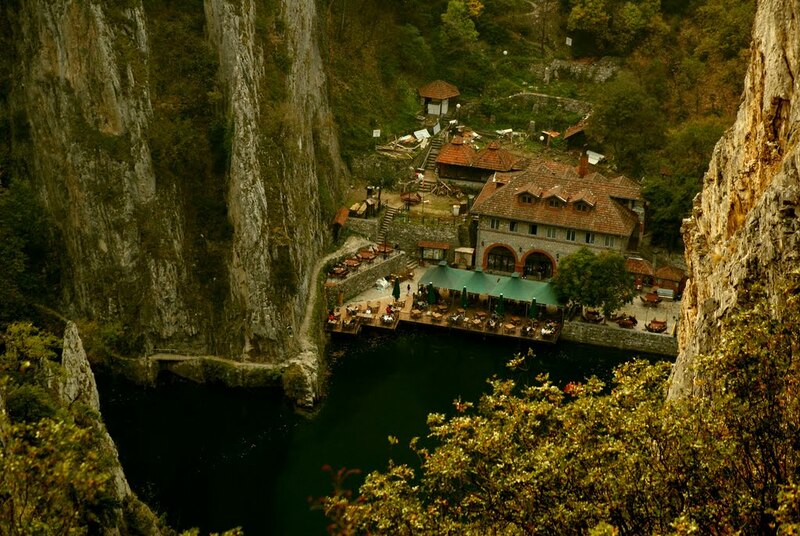 Journey to the spectacular Matka Canyon in Kosovo to visit a 14th century Byzantine church deep and a boat ride along the river to one of the deepest caves in the world, Vrelo Cave. Watch an entertaining musical performance in the tiny village of Štrpce in the foot of the Sharr Mountains. 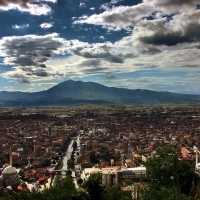 Tour the cultural city of Prizren, one of Europe’s most underrated cities, that is chock-full of full of mosques and monasteries dating to the 14th century. 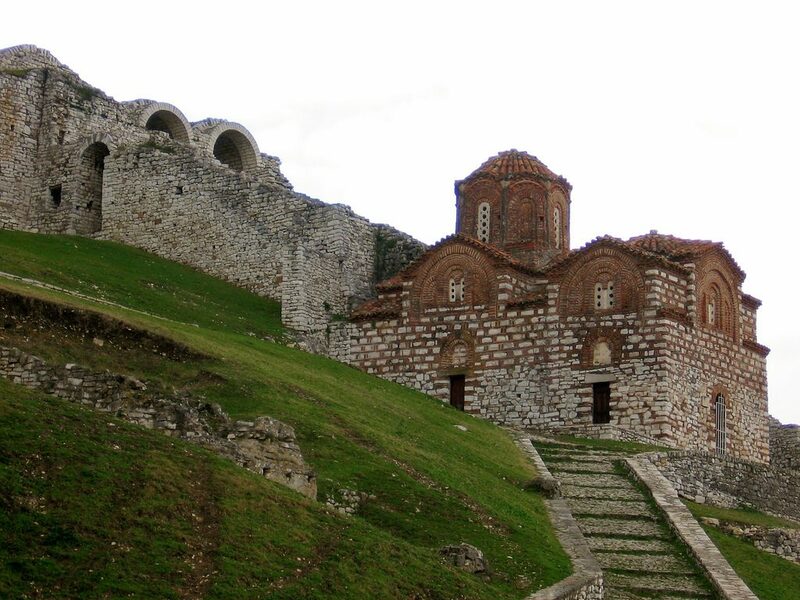 Visit the UNESCO-listed Visoki Decani Monastery in the Prokletije Mountains in western Kosovo. Wander around the Peć Patriarchate Medieval complex, one of the most prominent medieval monasteries in the region. 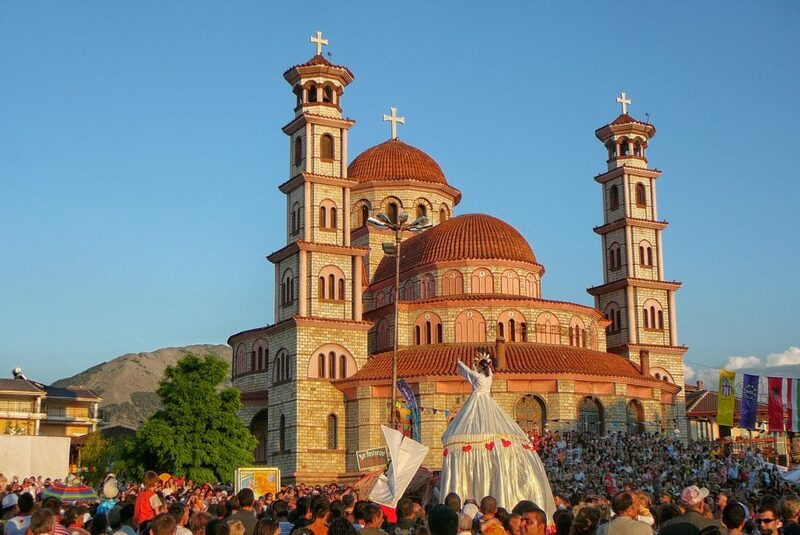 Visit the old town of Pristina and enjoy dinner with a traditional folklore show. 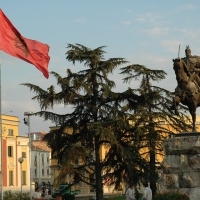 This morning in Tirana we will learn about the communist history of Albania with visits to many sights around the city including the Et’hem Bey Mosque, which was built in the late 1700s and closed under communist rule and later reopened (without permission from authorities) as a house of worship in 1991; the National History Museum, and Skanderbey Square – the main plaza of Tirana, Albania named in 1968 after the Albanian national hero Skanderbeg. In the afternoon we board the Daiti Express cable car for a ride to the Daiti Mountain while taking in the magnificent panorama of the Albanian capital and surroundings. Tonight after dinner we will have a free night to explore Tirana at our own pace. We leave Tirana behind, heading out to the ancient city of Durrës, Albania’s second largest city and a UNESCO World Heritage Site. 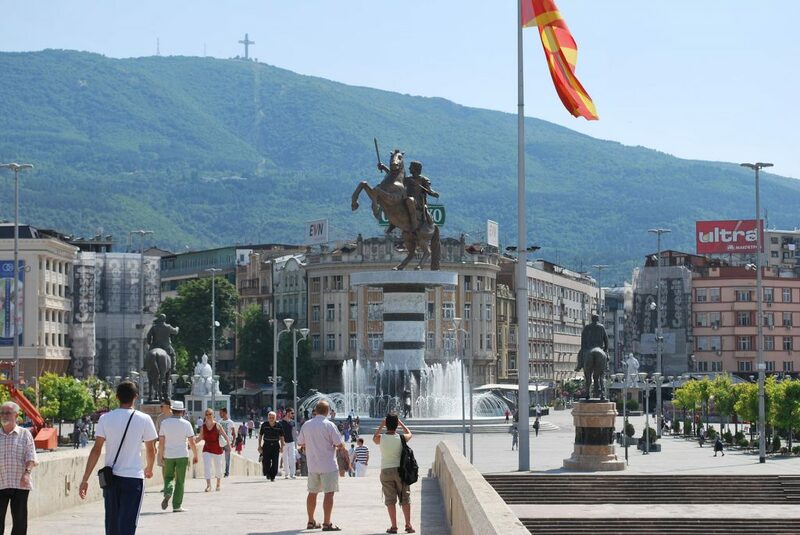 We will spend the day taking in the many historical wonders of the town, including the Roman Amphitheater – the largest amphitheater in the Balkans, discovered in 1966; the remains of a 15km long aqueduct built during the reign of Emperor Hadrian; the remains of the Roman Baths, dating back to the first century AD; the ruins of the Byzantine Forum; The Palace of the former King Zog that was used as the summer palace by the Albanian Royal family during the reign of the Monarchy; the Archaeological Museum, the Ethnographic Museum and Museum of History. We spend the night in Durrës. Today we head south to Elbasan, in central Albania, and stop to tour the fortress castle built by Sultan Mehmet in the mid-15th century. We later arrive in Berat, a UNESCO World Heritage site, which contains many old houses decorated with large windows that cause Berat to be known as the “Town of a Thousand Windows” and we will visit the Citadel and the old quarters. Later we will have a wine tasting in Cobo Winery before dinner, spending the night in Berat. After breakfast drive to famed Apollonia site, which was founded in 588 BCE by Greek colonists from Corfu and Corinth. 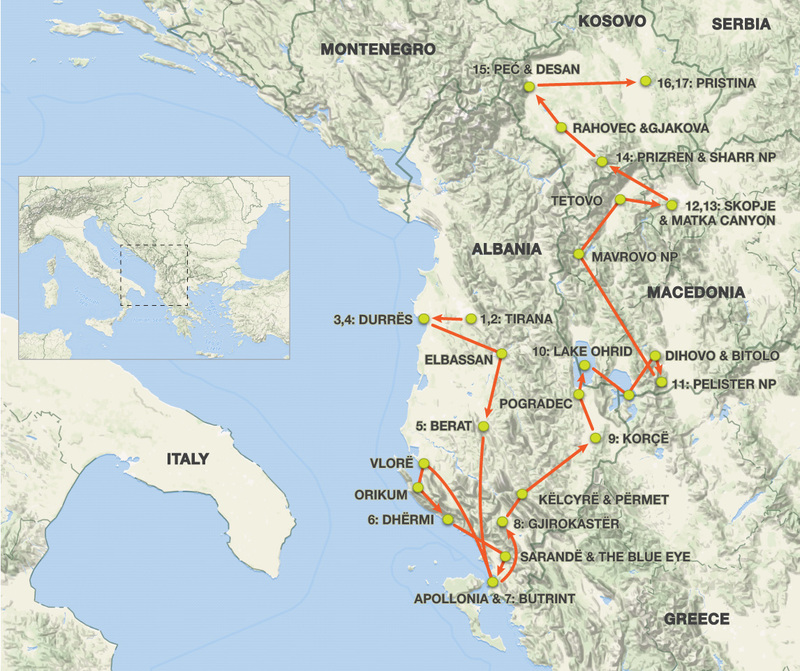 We continue our coastal drive along the gorgeous and sweeping Albanian Riviera to Vlora. Llogaraja National Park is named by the passage of the same name, which is over 1000 meters in height and extends along the road that from the city of Vlora goes toward the south of the country. This impressive panoramic Ionian road was built by Mussolini in the 20th century. There will be breathtaking views enjoyed from the park, especially on the side where the hills fall abruptly into the sea below. 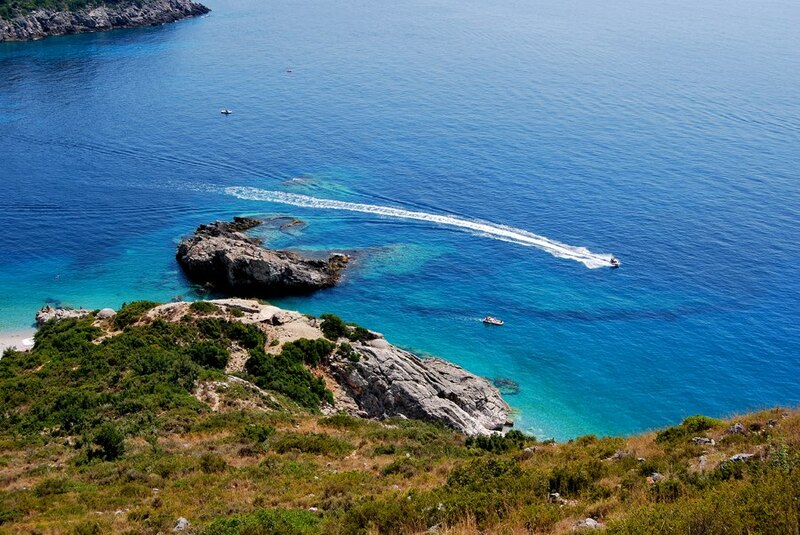 This is the most areas along the coast in Albania and also one of the most beautiful areas in the whole Ionian Sea. The mountainous and curvy road goes through wondrous scenery, with mountains rising dramatically up from the coast and the deep blue sea shimmering in the sunlight. Later we will tour the small ancient city of Orikum before arriving to Dhërmi for dinner. Leaving Dhërmi after a short sweep through the town, we will head off to nearby Sarandë, one of the most beautiful cities in Albania, on the Albanian Riviera. We then continue to the Blue Eye. Reaching unknown depths, this tranquil, turquoise-blue hole is fed by an underground spring and it is mesmerizing to gaze into its portal. We venture on to Butrint, an ancient Greek and later Roman city and a UNESCO World Heritage Site, where we will have time to explore the city. We begin our drive to the UNESCO World Heritage town of Gjirokastër where we will visit the fortress; the historical core and the Ethnographic Museum. 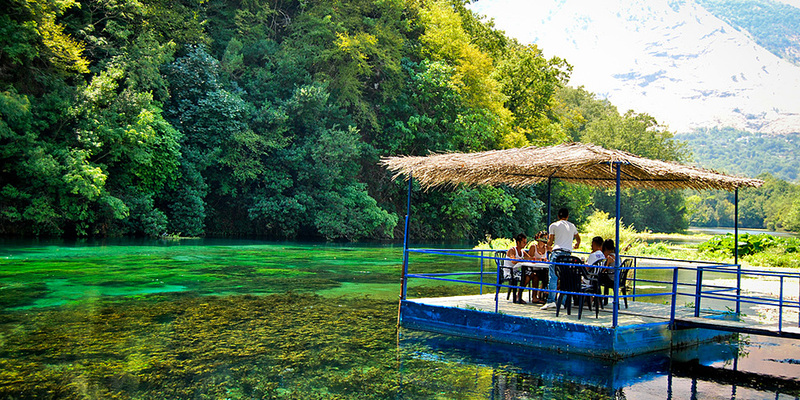 Some restaurants in Gjirokastër are known for cooking up local frogs caught in the nearby rivers (unlike most frogs served elsewhere in Europe, which are farm-raised). Adventurous eaters may sample this delicacy. Today we will cover nearly 200km en route to Korçë via the Kelcyra Gorge, surrounded by the breathtaking mountainous panorama of the Vlosa River valley, which is considered one of the most gorgeous drives in Albania. Next we will stop in Përmet to visit the Holy Virgin Church Leuse, before driving back along the spectacular scenery to Korçë and visit the Museum of Medieval Arts, stroll along the cobblestone bazaar, and stop at the Korçë Orthodox Cathedral. After a fulfilling day, we will enjoy a traditional Albanian dinner in Pёrmet where we will be spending the night. The next stop on our journey is Ohrid, in Macedonia, with a break to photograph the arresting mountainous and lake shore landscape. Both, the city of Ohrid and Lake Ohrid have been put under UNESCO World Heritage: the first for its great cultural value, and the lake for being the oldest lake (300 million years) in Europe with extreme biodiversity. Upon arrival, we visit the Monastery of Saint Naum, the birthplace of Cyrillic script. Here we will take a relaxing boat ride in the lagoon under the walls of the Monastery. Then it is off for a quick look around the fisherman village, Trpejca, before heading to the archeological setting on water: the Bay of Bones Museum. In the afternoon we will tour Ohrid historical core, which houses a bewildering number of Orthodox churches (365); a Roman amphitheater and the medieval Tsar Samoil city walls. Optional visits can be made to the market selling fresh tasty vegetables and traditional items. 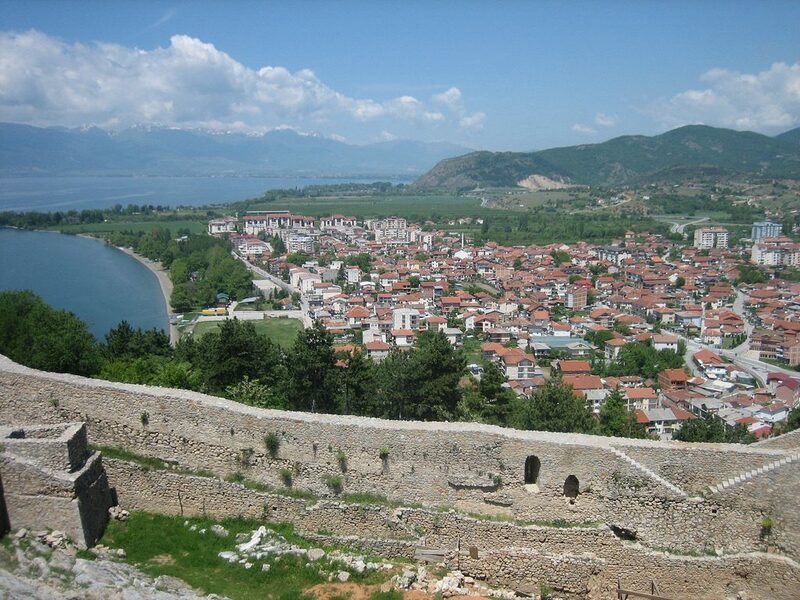 We will then check into our hotel on the shores of Lake Ohrid. A traditional Macedonian dinner with a folklore show in a restaurant by the lake will follow where guests will learn Macedonian the “Pravo Oro”. After breakfast we will leave Ohrid and drive to the other side of Mount Pelister to Prespa Lake, a nature reserve of white pelicans, cormorants, herons, cranes and swans, and home to a beautiful ethno museum of national dresses, and to a small beautiful medieval Church, St George, which occupies one of the most important places in the history of medieval Byzantine art in Macedonia. On the way to Bitola, we’ll visit the home of the welcoming villagers for a tasty homemade lunch in Dihovo. Continue to Heraclea Lyncestis, the ancient city founded by Philip II (father of Alexander the Great) and further to Bitola, with beautiful neoclassical architecture and an old town and bazaar built during the Ottoman Empire. We spend the night in Pelister National Park. We leave Bitola in the morning and drive to Krushevo, the highest town in the Balkans, known not only as the center of the most important battles in the Macedonian history, but also for the rich Vlach traditions and art crafts, and for their mouthwatering dishes. This picturesque town where nature and architecture are intertwined in perfect harmony and color, is a city with the cleanest air not only because of the altitude (1350 m), but also because no industry is present here. We can enjoy an optional lunch in Krushevo, thereafter visiting the church Bogorodica Precista near Kicevo, the home of the legendary “flying icon” of the Holy Mother. We arrive in Mavrovo National Park in the afternoon, heading to a local shepherds’ farm on Mount Bistra for cheese tasting (subject to weather conditions), followed by a short visit of the Painted “Alaya” Mosque in Tetovo before arriving in Skopje, late afternoon, where we will be spending the night. We will savor dinner in a national restaurant in the old bazaar and evening at leisure. 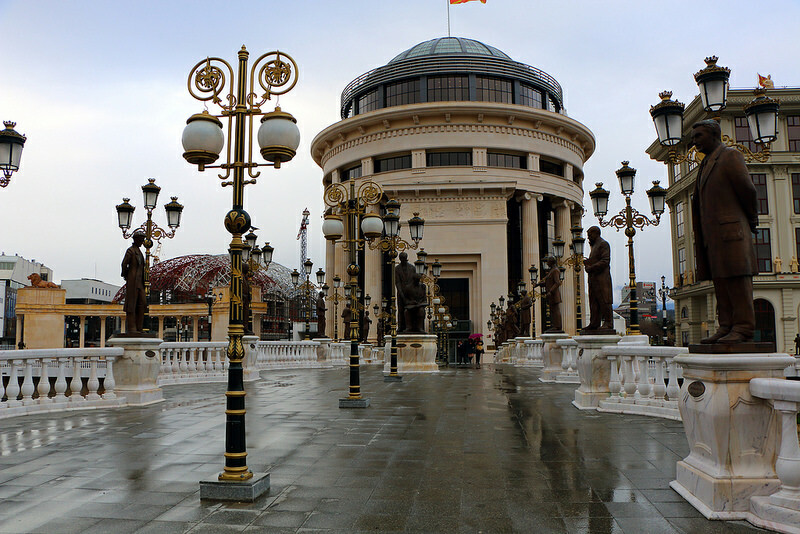 This morning we take a sightseeing walk of the Skopje attractions: the memorial house of Mother Teresa; the restored Macedonia square with numerous monuments, museums and baroque style buildings constructed for the project Skopje 2014 and over the Stone Bridge into the old town of Skopje and through the small cobblestone streets lined with jewelry, art-craft and antique shops, a few mosques and a Turkish Bath turned into art gallery. In the afternoon we’ll take short picturesque drive to the nearby mountain Vodno to St Panteleimon Monastery built in 12th century, hidden in the high monastery walls. Situated on a plateau on Mt Vodno this monastery gives a magnificent view over the Macedonian capital. The frescoes in St Panteleimon brought big changes in the development of the Byzantine and Macedonian art in particular and gave basis to suppose that local painters, though reared in the tradition of decorative Byzantine painting, could make brave steps even in the 12th and the 13th centuries towards a new art which was later, in the 14th and the 15th centuries in Italy, known as the Renaissance Art. We will conclude the evening with dinner in a traditional restaurant accompanied by music. Today we head into the little-known territory of Kosovo, beginning with a morning transfer to the spectacular Matka Canyon for a visit to Our Lady of Ljeviš church and the nuns’ embroidery workshop. From here we’ll explore the canyon on foot, weaving our way on a narrow path carved into the rocks by the lake to a 14th century Byzantine church deep in the canyon where we will take a boat along the river to one of the deepest caves in the world, Vrelo Cave. 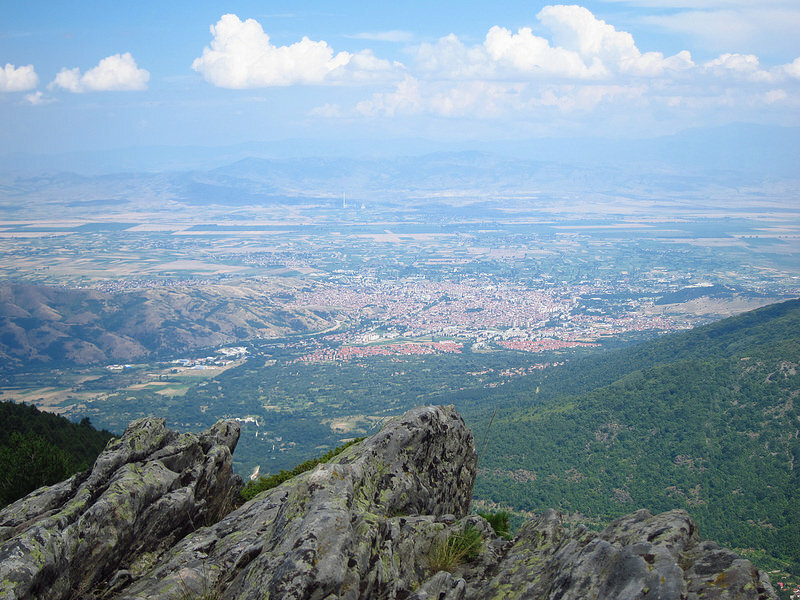 From here, we continue our trip to Prizren via Sharr National Park, where we spend the night. Along the way, we will visit the tiny village of Štrpce in the foot of the Sharr Mountains with a short musical performance by a local youth group in costumes, singing. 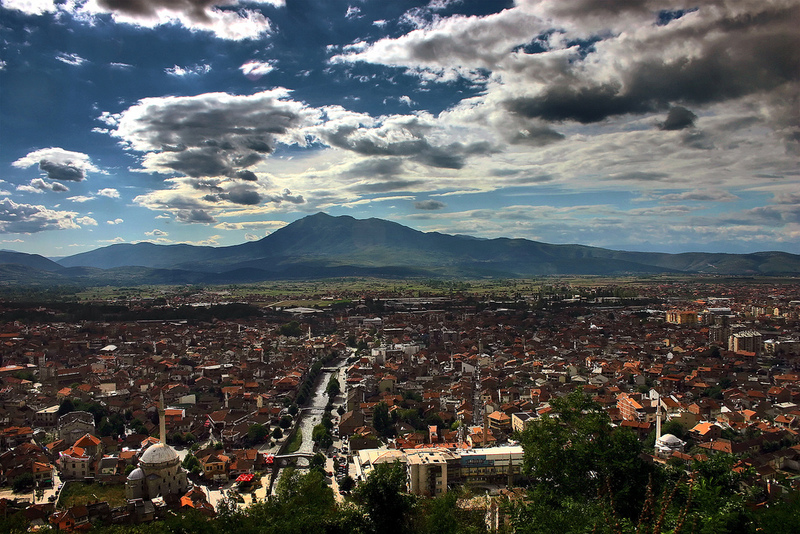 Prizren is a pretty city full of mosques and monasteries dating to the 14th century. After breakfast we will walk through the center of town and tour of the Holy Virgin of Ljevis Church, the Sadrvan Fountain, the enchanting old quarter with small shops and a filigree workshop. Later will drive to Velika Hoca, which is famed for its amazing set of 13 medieval monasteries, for a wine tasting before continuing to the famous Visoki Decani Monastery, that is nestled among chestnut groves at the foot of the Prokletije Mountains in western Kosovo and is part of the a UNESCO-listed Medieval Monuments in Kosovo. Finally, we drive on to Peć where, after dinner, you will have the evening at you leisure to walk through the old bazaar. 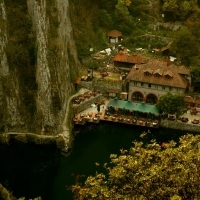 On our last full day of this tour, we will tour the Peć Patriarchate Medieval complex, at the entrance of the Rugova Gorge, which is one of the most prominent medieval monasteries in the region with a sisterhood of 24 nuns. We then drive to Pristina and tour the old part of the town, including a visit to the Archaeological Museum. From here we drive to the Gazimestan and visit the Turbe and the Monument commemorating the Kosovo Battle. Finally, we pay a visit to the Gračanica monastery, a UNESCO World Heritage Site that was rebuilt by the Serbian king Stefan Milutin in 1321 on the ruins of a 6th century early Christian three-naved basilica. A traditional farewell dinner with a folklore performance will soon follow. On our final morning, after a farewell breakfast with fellow travelers, you will be transferred to Pristina airport to catch your onward connections.